The heart beat of the machine is the renowned and aggressive Terex 1000 x 600mm (40" x 24") jaw crusher with a proven pedigree in recycling, demolition and aggregate production applications. 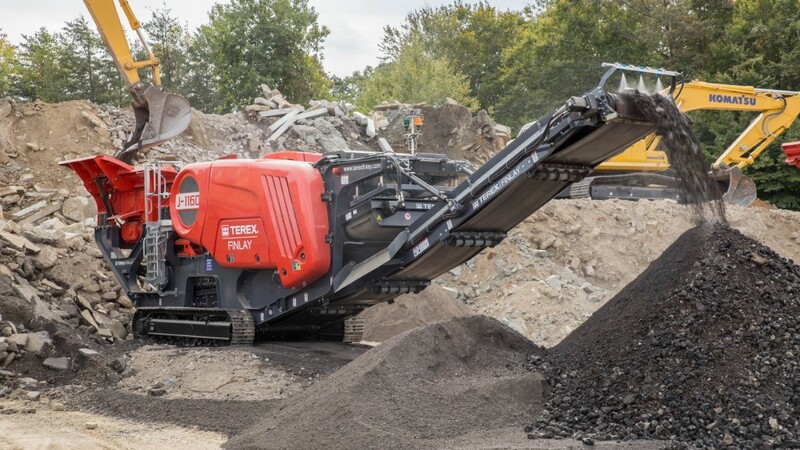 The hydrostatic drive gives the operator the flexibility of variable crushing speed and the ability to run the chamber in reverse in recycling applications. The machine is designed for maximum fuel efficiency delivering one of the lowest cost per ton in the market place and features our updated and larger heavy duty variable speed vibrating grizzly feeder with integrated pre-screen. This increased screening area and aggressive action provides a more efficient method of separating and removing fines before entering the crushing chamber. The variable speed VGF ensures continuous choke feeding of the crushing chamber. Material from the pre-screen can be diverted to a stock pile via the on board by-pass conveyor, or join the crushed product on the main belt. The large 5m³ (6.6yd³) hopper has fixed sides as standard and is also available with hopper extensions fitted with hydraulic self-locking to provide efficient and faster machine set up and tear down times. A key new design feature of the machine is the 900mm (36") wide main conveyor which can be raised and lowered allowing the operator to perform maintenance functions from ground level and for ease of removal in clearing blockages. The machine is fitted with the innovative Terex Finlay T-Link telematics system as standard. The robust high performance hydrostatic driven single toggle jaw chamber provides high capacity with large reduction ratio's. Fully hydraulic adjustable closed side setting minimizes downtime and offers quick adjustment. Note: the crushing chamber was running in reverse in this application/video. Terex Finlay J-1160 jaw crusher (recycling concrete & demolition waste application). Terex Finlay J-1160 jaw crusher & 684 3-Deck inclined screen (quarry application).